Washlets and bidets are an alternate way to keep yourself clean in the bathroom. In some cases, they are an eco-friendly alternative to toilet paper, while in other cases, they make keeping clean easier for people with mobility issues. They can also be comfortable and a welcome addition to any bathroom. We outline the positive and negative attributes of both below, as well as the differences between them, so that you can make an informed decision about which may be right for your home. Washlets and bidets help you clean yourself after using the toilet, without the need for toilet paper. A bidet is a porcelain, stand-alone fixture that you straddle, while a washlet is a seat that fits onto your existing toilet. Bidets typically come in two models. One sprays water from the front toward the back, and the other sprays from the bottom straight up. Washlets come in many styles, including some with heated seats, warm air dry, customizable settings for the wash, auto opening and closing of the seat, MP3 player capability, auto-flush when the lid closes, deodorizers, and self-cleaning systems. Not every washlet has all these features, so choose the ones that are most desirable for your needs. Bidets are stand-alone fixtures, which means they take up additional space in the bathroom. Bidets must follow the same space planning regulations as toilets. To meet building code, you must have 30-inches for a toilet or bidet, with a recommended 36-inches for comfort. To have a toilet and bidet next to one another in the bathroom, you need a minimum of 60-inches of space. Washlets do not take up additional space because they replace your existing toilet seat. Therefore, they make a better choice for powder rooms and small bathrooms that do not have room for a bidet. Washlets are designed to be a DIY installation because it takes just a few minutes. If you have a new toilet installed at the same time, however, your plumber can certainly hook it up. They fit onto your toilet in the place of a traditional toilet seat and use a T connector to tap into your toilet’s water supply. Your washlet requires electricity, so you must have a GFCI outlet nearby. Bidets need to be installed by a professional. They come off your existing plumbing but need new supply and waste lines. The plumber will split off the new lines to the bidet. It will be set and sealed into place, and then the plumbing lines are connected. 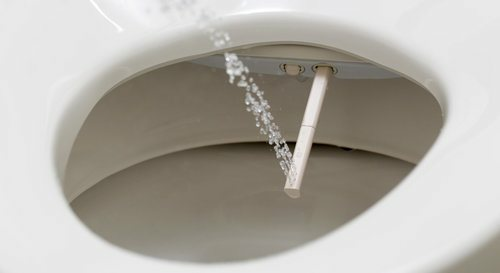 The length of time to install a bidet varies depending on the location and if there is a “water wall” with pipes already there. The farther the pipes need to travel, the longer the installation will take. Washlets have a wide range of prices depending on the level of accessories you want. A simple, cold-water washlet is around $100, while a complete seat with heat and blow dry, as well as auto-lid flush and MP3 player, costs about $1,000. Most people pay around $500 for their washlet and install it themselves. The price will be higher, however, if you need an electrical outlet installed. The cost of installing a new GFCI outlet is around $120. This makes the average price of a washlet around $620. Bidets also cost around $500 on average but have a much higher installation cost. It is not uncommon for installation to be an additional $500, making the total about $1,000. This can go higher for designer colors and styles or if the plumbing needs to be run farther. The comfort level of a washlet or bidet depends on the user. Washlets come in many styles, some of which are more comfortable than others. Keep in mind that when using a bidet, you must move from the toilet to the next fixture, straddle it, and lower yourself down. Because bidets are often lower than a toilet, using it may be difficult or painful for people with mobility issues. In many cases, a washlet is considered more comfortable because you can include heat for the seat or adjust the spray type. Bidets allow you to alter the water pressure manually, but you are still sitting directly on cold porcelain. Washlets are hooked up to your toilet’s water supply, so they are fed with cold water. If your model has a heater, it warms the water at the time of use. However, this is not always reliable, as the heater may wear out over time. Bidets are plumbed separately from the toilet and use both hot and cold water, allowing you to adjust the temperature of the fixture to your preference. Both bidets and washlets use around ⅛ of a gallon of water each time you use them. However, you avoid the need for toilet paper, which saves you on average about $180 a year, even with the additional water usage. Neither washlets nor bidets add much value to your home. 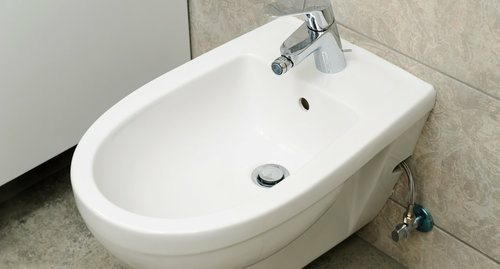 Bidets are more common in Europe and are rarely found in American households. Washlets are more popular, but because they can be easily disconnected, removed, and taken to your new home, they do not impact resale. How much does it cost to install a washlet or a bidet. in my city? Cost to install a washlet or a bidet. varies greatly by region (and even by zip code). To get free estimates from local contractors, please indicate yours.